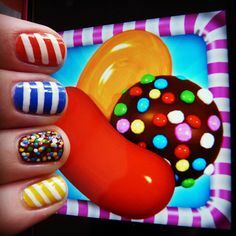 Here are 20 quirky nail art designs inspired by latest Xbox, PS3, video and mobile phone games! Playing games on the phone or Xbox isn’t just a boy’s thing. We ladies love The Angry Birds and The Hunger Games as much. Showing off the vibrant characters with their own personalities can be fun. 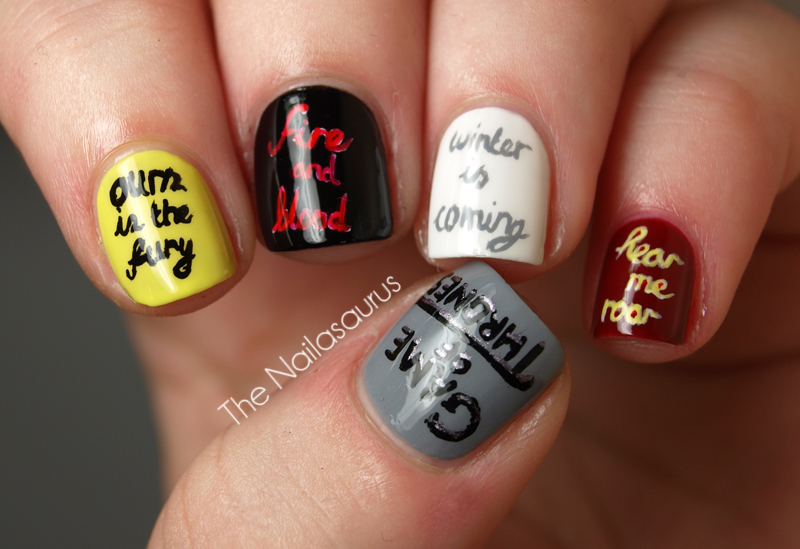 How lovely would it be to also flaunt them on your nails? French-manicured nails with a subtle hint of Super Mario or a Pacman graphic is bound to add a lot of a quirk. Team it up with a trendy fashion outfit, like a high neck bodycon. 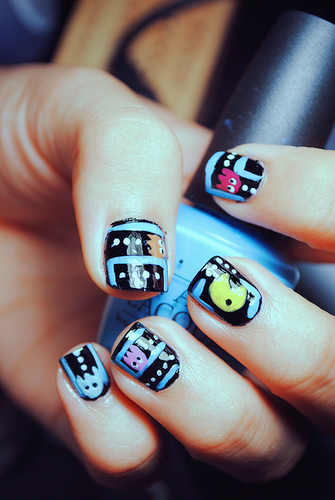 So, today, Zuri brings to you 20 amazing nail art designs that are inspired by your favorite games. So, whether it is an action-packed video game of the fantasy world- Legend of Zelda, the ice and fire of the medieval fantasy story- Game of Thrones, the first released and still going strong arcade game- Pacman or an adventure book adaptation- The Hunger Games. You can wear them all in style. I flaunt The Angry Birds from time to time. There are a lot of variations that can be tried with just this one game alone. Sometimes I paint my nails with bad piggies, at times, the cute laser bird- Chuck is gleaming through the nails. Often, monster bird- Terence and atomic bird- Bubbles gets the attention. If you are averse to wearing these games dramatically, you can choose to go very profound with the animation. For instance, write quotes from The Game of Thrones or paint one of the nails with the comic spin-off- Sonic the Hedgehog, while your rest of the nails can be painted in blue or white. Likewise, with Super Mario’s cap or his name’s initial ‘M” with the colors associated with the character, that is white, blue and red alone can do all the magic. If you are attending an all girls party or going high-street fashion shopping with your BFF, then try out the Sailor Moon nail art. Even Louis Vuitton 2016 runway was inspired by Sailor Moons’ pink hair, eyelashes, and everything sci-fi about it’s animated characters! Candy Crush has its own charm. Nail art inspired by the cute colors of all the candies from the game can look super fabulous on a lazy winter afternoon. Ever since I started playing this game, I’d wanted to dip my fingers in the bowl full of jelly beans, lemon drops, lollipop heads, and gum squares. You know, you can try it out at home too. It’s simple. You would need a dotting tool and colorful nail paints. You would also require an acrylic UV gel top coat to seal the design. The simplest design is suitable for beginners.